I’ve asked myself that question so many times, “how do I make money online”, followed by ”and not get scammed“; I want the freedom to make an income wherever I choose to hang my hat for months at a time and have my financial independence. I had to find a way to make it happen and here I am doing it. I started asking the question when my children were in kindergarten and I wanted to earn and be a stay at home mom. After fumbling around online for a few years with nothing to really show for it…I stopped. Yes, I made a few dollars to put back into supporting my efforts but it was not passive sustainable income. I quit so I could focus on upgrading my skills going back to school and going out and getting a ”real job”. If you work online you know that the time and effort it takes to succeed makes it as real as getting up every morning getting dressed and commuting to a brick and mortar place somewhere. ”Real” kind of means that you’re working on someone else schedule and possibly doing something you don’t really give a crap about, not all but some. No one enjoys starting their day by the shrill of an alarm clock. First, you should know that it takes a long time (a lot more than 2 weeks or less). Working and making an income online is not a get rich quick thing, you have to be consistent and persistent; you need a foundation, a website, support and training to get you started on how to make money online. There are steps, stages to building your successful online business. 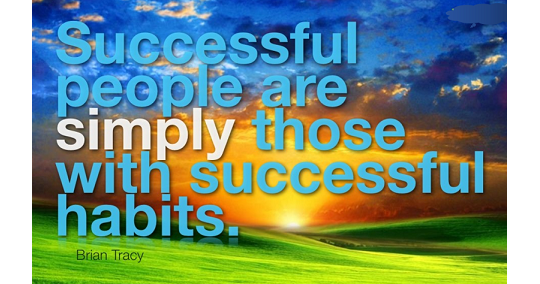 If you could have success online in 2 weeks (wouldn’t we all be rich successful??). So… no, that doesn’t work…maybe if you have oodles of money to pump into a business with people you hire to do the actual work of actually building a successful income generating business online…then maybe. The question never really got answered for me back then and there was no support of like-minded people, no community that was available, and the person who got me to this money making site knew as much little as I did. There were no tools available to help you succeed with any of the companies I was involved with as to what you could do online to earn an income. That’s, actually not true, they all had the same thing…sign up, get people to sign up under you, earn from those people and anyone else that those people get to sign up. They didn’t have a product or services to promote, not what I wanted to do. That was a very long time ago, the infancy of making money online and I didn’t have a clue what I was doing and didn’t find a place online to teach me how to have success with an online business. I don’t recall ever hearing the words ”affiliate marketing”. Affiliate Marketing is one of the easier ways to get started earning an income online, you can earn from multiple income streams. To be successful, and success looks different for everyone but the reason we have a business is to make money and you will at some point want to invest money into the marketing of your business to make money. Brick and mortar or online we all have to advertise; learning how to operate your business before dumping money on your site that has nothing to offer visitor is a waste of time and money; first get the training and then you will have something to offer your visitors when you advertise. I can tell you that you will not make enough money to finance your financial freedom using only free services and then you will end up wanting to quit investing your time because you will be making no money. After been away from trying to work from home and make money online I came back to it because if I want financial freedom and the ability to work from anywhere, I knew I had to find a way. I had to find a place to teach me how to get started. I found out things have changed a lot and so much is still the same. There are still sites out there trying to get your money and giving you nothing in return. After a few months of investigating and researching the companies that were offering to make me rich, if not overnight then real quick and sometimes with no money at all. Wading through all the possibilities and trying to avoid the scams one of the many shady sites led me to an affiliate site that I went on to do some more research and found something promising. I decided to sign up and check it out because it was Free, and the site that led me there had a life story that was compelling enough for me to want to take a look, I had nothing to lose. Honestly, I am so glad I did, it turned out to be just the place to teach you what you need to know to make money online, it gives you the tools to set up your online business plan, it has a community of like-minded individuals to help you and interact with. See what others are doing there. Could this be the end of my journey in my quest to learn how to make money online? Could this be the place where I find the answer to ”how do I make money online”? Wealthy affiliate is the place I found that has answered the question and is the platform that I am now using to generate an online income and dare I say spread the word to help anyone new to the business of making money online. It really is a great place, you get so much value for your money, it’s money well spent (if you choose to upgrade to Premium)…. you truly don’t have to spend a dime unless you want to. The site is FREE to join, there is the option (your choice) to upgrade and pay a monthly or annual fee (your choice) or you can remain a FREE member. There’s a lot that you get for FREE but most people who are serious about earning online quickly become a Premium member and that’s it, there is no other tier/level. When you’re a Premium member that is it…you get everything that is offered and you just pay that one monthly or annual fee. It has everything you need to start earning online if you don’t have a clue, this is the place to get clued in. I know it works because I have been paid. I am still learning and I don’t think that’s going to end anytime soon, but I ”got paid!” and I just got started on my training, went to the mailbox and found cheques(3 to be exact) from one of my affiliate programs. An incentive to keep going (not enough to retire on…YET). You can be a success online with your business and gain the financial independence and freedom that we all want for ourselves and our family but don’t think for a minute that you don’t have to put in the work to make that happen….there is no get rich quick button to push that actually works. I am an Affiliate Marketer, thanks to skills learned at Wealthy Affiliate. Thank you for this nice and very informative article. I did try many different online ways to make money and most just tried to upsell you. How long have you been doing this now? Thank you…glad you found it informative. You are so right about the upselling some site do. One of the great things about wealthy affiliate, just one price. I have been with WA about 1 yr and doing this on and off for about 5yrs. Success to you on your journey. Hello BB, what a great article. I really resonated with you that it is about time and perseverance. If we are not willing to put in the time, there is no way to get to success. Thanks for your time. Wealthy Affiliate also changed my world.